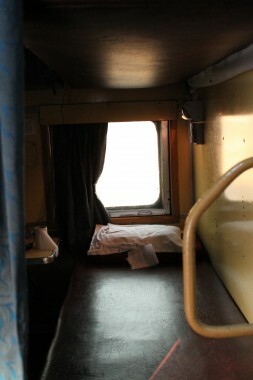 How to book trains in India is just like how to book trains in the UK or Europe. Wrong. Just because India sometimes appears disorganised, doesn’t mean it always is. If you’re going to be in India for a while and have the time to spare, go and purchase an Indian SIM card.You will need a passport photo and your passport to do this. Try an Airtel shop. Without an Indian SIM you cannot book Indian trains online. 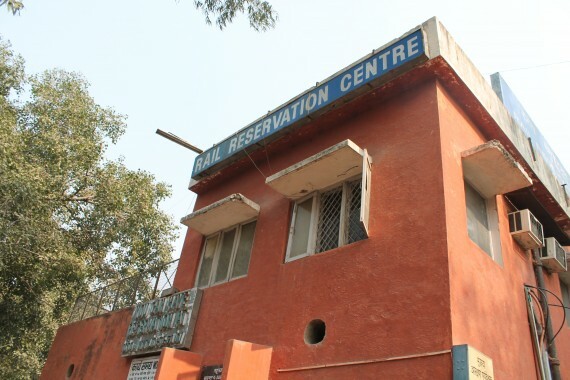 Avoid the tourist booking office in places like New Delhi station like the plague. Okay, not the plague, but this is the difference between two hours queueing in a hot office up some concrete stairs near the men’s toilets, or a ten minute wait in a one-roomed building. If it’s a few days or weeks before you are due to travel, it’s more likely there will be space for you on the train. 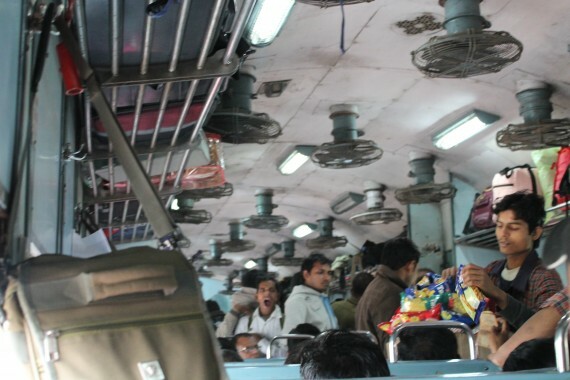 Without betting on a tatkal (emergency) ticket, or worse, a waiting list ticket. The further in advance you book the better. If you are planning to travel imminently and don’t have a ticket, get to a reservation centre, or, in smaller places, a train station ticket office, before 10am the day prior to travelling. Pick up a slip of paper with a checklist on it if you can see one, or ask one of the people queueing where they got theirs. Fill in your details including the number of the train you wish to travel on and the time and date and hand it to the person behind the window. Good luck! New Delhi to Agra Cannt – 2hr journey in the morning – 12002 Bhopal Shatabdi 6.00am arr 8.06am £4 – £7 ($6-$10) rtn depending on class. H Nizamuddin to Agra Cannt – 3hrs (recommended as it’s from a smaller less hectic station) – at 7.10am in the morning arr 10.05am – 12280 Taj Express Superfast less than £5 ($8) rtn. Agra to New Delhi journey in the evening (a trip to the Taj Mahal can easily be done in a day this way) 2279 Taj Express 6.55pm arr 10pm. OLD DELHI to Jaisalmer – 17hrs leaving in the evening – 14659 Dli Jsm Express 5pm daily £17 ($16) in 2AC or £12 ($18) in 3AC or for the most ‘authentic experience,’ where you might have up to 15 blokes sitting with you playing cards (it happened to me), in Sleeper (SL) at just over £4 ($6). If you can, travel 2AC one way and Sleeper the other to experience both. If you arrive last minute you can take a chance that either there will be a spare ticket, or that you’ll get waiting list and the people in your seat won’t arrive. Don’t assume a waiting list ticket is the same as a normal one because you will be sitting in someone elses seat if you do that, however polite they might be about it because you are an idiot tourist. If you are a woman, elderly or disabled, you have your own specific queue at stations and reservation centres. Even if this feels weird, the queue is shorter, so take advantage. 5 rupee masala chai on the train is fine but not everyone gets on with the food, where provided. Pack some food before you go from a restaurant you like. If you manage to get Old and New Delhi stations confused and miss your train (again, it happened to me) you may be lucky enough to get your auto rickshaw driver to take you to the wonderful government information office with a man I hope is still there – ‘you’re in India now, you must be strong’ he said to my friend. The Man in Seat 61 is the best resource for researching train travel in India, along with about.com’s Indian site. Cleartrip.com itself is pretty good for searching the routes and train numbers, as well as prices, even if you aren’t looking to book through the site. Delhi Cows in the Street. Time to Sleep. Thanks Sophie. An excellent guide – which is bookmarked. Fortunately I’ll be using New Delhi as a bit of a hub (lots of great trains nearby) so I’ll have a bit of time to arrange most trains on trip.